Can be customized with different colors for the pen, pen clip, housing, packaging and printing. Audible and tactile feedback during dosing, dose correction and delivery to maximize patient confidence and comfort. Post-injection remaining dose indicator for the final dose ensuring correct dosing up to the last drop. 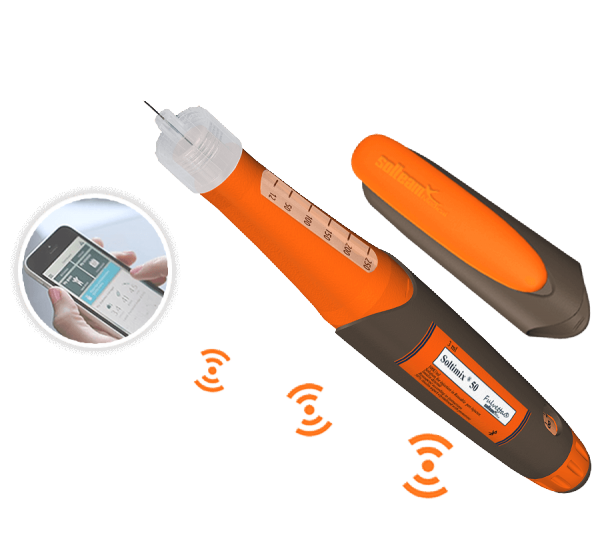 With our E-Nursing Tracer® you will be able to transfer the injection data directly to your mobile device or to the medical team. Designed for compatibility will all major Needle brands. Dial will not select more units that what is left in the cartrige. Unique Devide Identification to facilitate the traceability of medical devices. Easy to set and easy to read dose display. Accurate insulin delivery and low dose force. Clicks when dialing up and down. Dial back dose correction feature. Easily correct a dose by simply turning the dial the other way. Ergonomic and easy-to-use press button. Audible end-of-dose click to increase confidence.